Run or Dye, the organiser of the eponymous 5k runs where participants are pelted with coloured dye, has hired The Earned Agency to handle its PR following a competitive pitch. The account was previously held by Eulogy. The brief covers traditional and digital PR, with an aim of recruiting more participants this year across more UK events and "amplifying the fun of participating". Seventeen events have been confirmed for 2015, with the first taking place in Manchester on 18 April and the final in Edinburgh on 18 October. There were eight events in 2014. Run or Dye is inspired by the Hindu festival of Holi, known as the Festival of Colours. It debuted in the UK last year. 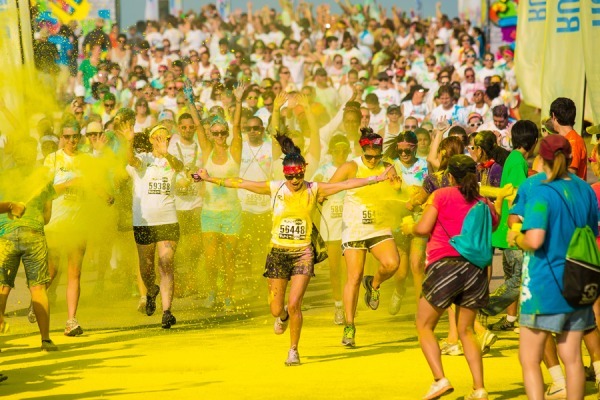 Dan Lipman, marketing director at Run or Dye, said: "2015 will be a significant year for us. We needed a PR partner to help us reach some big goals. The team at The Earned Agency was so enthusiastic about the events and sports in general that it was a natural choice. It demonstrated really clear thinking, great creative and a thorough knowledge of the dynamics of earned media." Neil Foster, managing director of The Earned Agency, said: "Earned media will play a significant role in encouraging people join the fun and spread the word. It is the ideal channel to help celebrate the camaraderie and spirit of the events."